Shopping City is clearly signposted from the motorway. At junction 11 of the M56, take the A56 exit to Preston Brook/Daresbury. Then continue on Chester Road/A56. 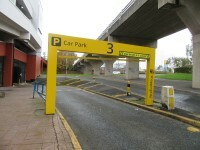 Take the A533 and Hallwood Link Road to Fifth Avenue in Runcorn. At the roundabout, take the 1st exit onto Chester Road/A56. At Whitehouse roundabout, continue straight onto Chester Road/A533. Continue to follow the A533. At the roundabout, take the 1st exit onto Southern Expressway/A533. 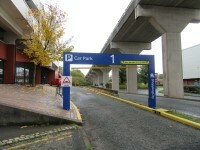 Take the exit towards the police station, Halton Lea, Hallwood Park and Halton General Hospital. At the roundabout, take the 2nd exit onto Hallwood Link Road. At the roundabout, take the 2nd exit onto East Lane. At the roundabout, take the 2nd exit and stay on East Lane. Turn left onto Fifth Avenue. 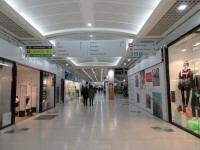 The shopping centre will be on the left. 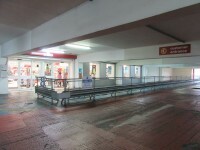 The 3A, 3B, 3C, 14A, 20, 20A, 21, 52, 61A, 62, 62A, 66, and X1 bus services stop right outside the shopping centre. 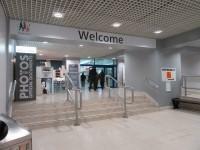 There is step free access from both the north and the south bus station to the shopping centre via the north and south entrances. Runcorns two major train stations: Runcorn and Runcorn East are nearby. 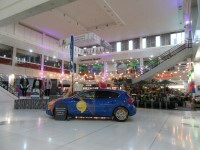 The shopping centre recommends Apec Taxis, contactable on 01928 495 001. 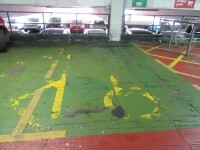 You are on Parking (Car Park 1). Skip to the next section. 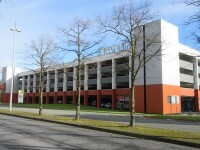 The car park is located to the east side of the shopping centre. 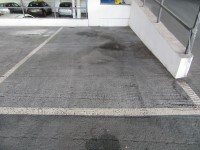 The dimensions of the Blue Badge parking bay(s) are 250cm x 500cm (8ft 2in x 16ft 5in). 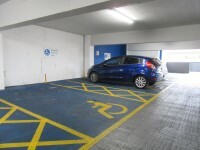 The nearest Blue Badge bay is 10m (10yd 2ft) from the car park 1 entrance. 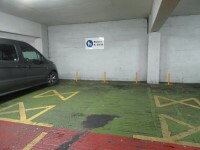 The furthest Blue Badge bay is 50m (54yd 2ft) from the car park 1 entrance. The maximum height is 203cm (6ft 8in). 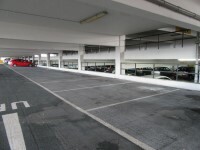 The car park is located to the south side of the shopping centre. 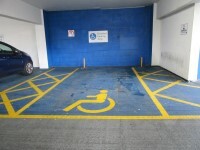 The nearest Blue Badge bay is 5m (5yd 1ft) from the car park 2 entrance. 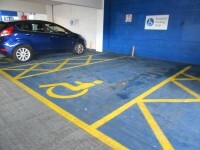 The furthest Blue Badge bay is 30m (32yd 2ft) from the car park 2 entrance. 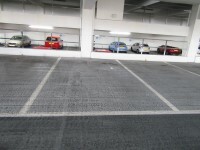 You are on Parking (Car Park 3). Skip to the next section. 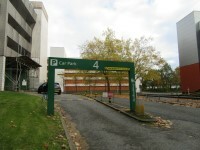 The car park is located to the west side of the shopping centre. 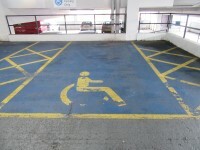 The nearest Blue Badge bay is 5m (5yd 1ft) from the car park 3 entrance. 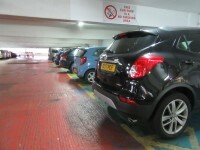 The furthest Blue Badge bay is 30m (32yd 2ft) from the car park 3 entrance. 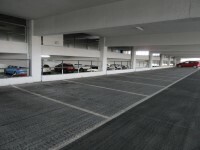 You are on Parking (Car Park 4). Skip to the next section. 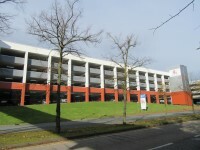 The car park is located on the north side of the shopping city. 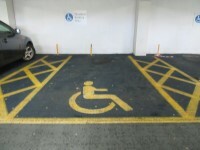 The nearest Blue Badge bay is 5m (5yd 1ft) from the car park 4 entrance. 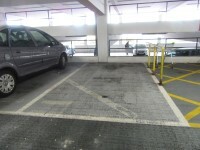 The furthest Blue Badge bay is 20m (21yd 2ft) from the car park 4 entrance. 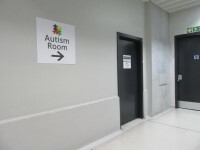 You are on Autism Room. Skip to the next section. 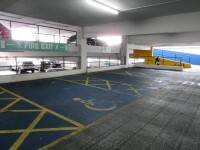 The room is located to the right as you enter from the car park 3 entrance. The door to the room is single and opens away from you (push). The door is opened with a Radar key. The key is available from a member of shopping centre staff. Within the room there is mood lighting. There is a sink located within the room. The height of the sink is 90cm. 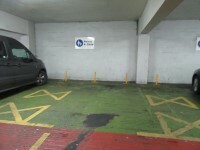 You are on Outside Access (Car Park 1 Entrance). Skip to the next section. 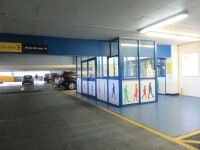 This information is for the entrance located in car park 1 on level D.
The width of the door opening is 200cm. The width of the door opening is 206cm. 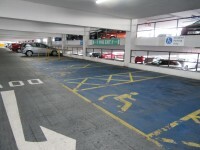 You are on Outside Access (Car Park 2 Entrance). Skip to the next section. 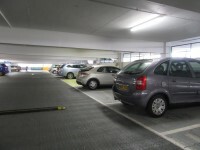 This information is for the entrance located in car park 2 on level D.
You are on Outside Access (Car Park 3 Entrance). Skip to the next section. 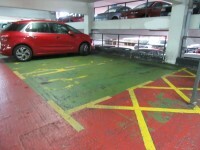 This information is for the entrance located in car park 3 on level D.
You are on Outside Access (Car Park 4 Entrance). Skip to the next section. 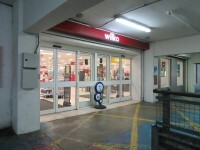 This information is for the entrance located in car park 4 on level D.
This entrance leads directly into Wilko on the north side of the shopping centre. 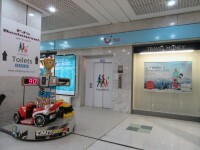 This information is for the entrance located at the north side of the shopping centre. 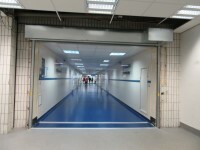 The width of the door opening is 400cm. 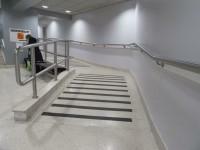 This entrance provides level access to the shopping centre from the library, Halton Direct Link and Rutland House. 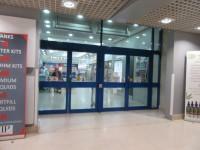 There is also a lift down to this entrance from the bus station. 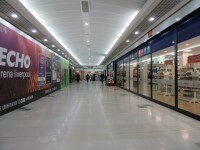 This information is for the entrance located at the south side of the shopping centre, within the Trident Park Retail Park. The width of the door opening is 183cm. You are on Shopping Centre. Skip to the next section. 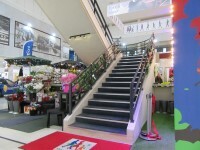 The shopping centre is set on one level except for the management suite which is set above the central square. The stairs and lift are for access to the management suite. 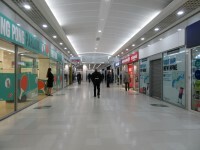 Lighting is bright throughout the centre. 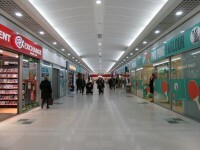 There is flooring with a bright shiny finish throughout the shopping centre. The walls and floors are clearly defined in most places. 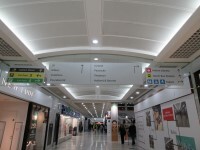 There is clear overhead signage available throughout the centre. 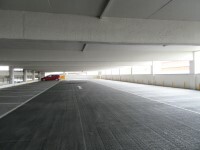 To the north and south of the shopping centre there is level access via the north and south entrances. 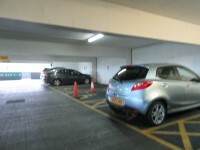 There is a car park to each corner of the shopping centre with level access from the disabled bays which are available on level D of each of the car parks. 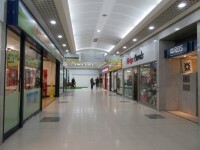 Staff are available throughout the shopping centre for help and advice. 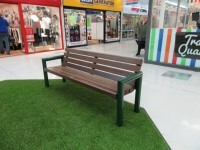 There is bench seating available at regular intervals throughout the centre. 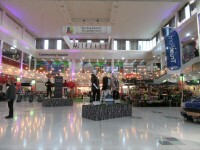 The shopping centre has a weekly autism shopping hour from 16:00-17:00 on Wednesdays. 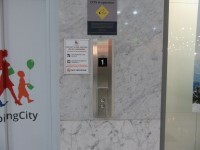 The lift is located within the community square. The lift is approximately 100m (109yd 1ft) from the north entrance. 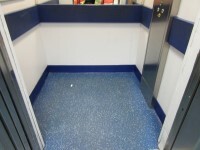 The dimensions of the lift are 120cm x 125cm (3ft 11in x 4ft 1in). 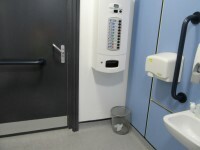 This accessible toilet is approximately 140m (153yd 4in) from the north entrance. 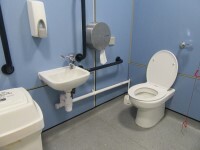 This accessible toilet is located just off the community square. The key can be obtained from a member of centre staff. 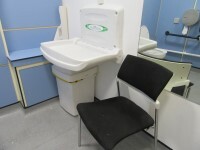 The dimensions of the accessible toilet are 192cm x 230cm (6ft 4in x 7ft 7in). The female and male toilet facilities that were surveyed are located just off the community square. 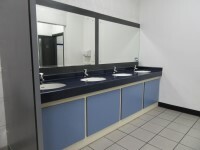 The female and male toilets are approximately 140m (153yd 4in) from the north entrance. 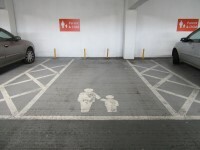 The parent and baby room is located just off the community square. 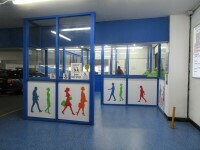 The parent and baby room is approximately 140m from the north entrance. 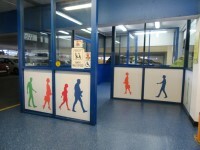 There is pictorial signage on or near the parent and baby room door. 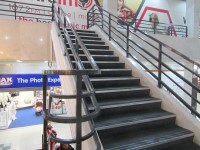 You are on Access Guides Available For (Shopping City). Skip to the next section. ACT:R - To view the access guide please click here (new tab). Argos - To view the access guide please click here (new tab). Asko Jewellers - To view the access guide please click here (new tab). Blush - To view the access guide please click here (new tab). BrightHouse - To view the access guide please click here (new tab). Cash Generator - To view the access guide please click here (new tab). CeX - To view the access guide please click here (new tab). Go Local - To view the access guide please click here (new tab). Hair Roomz - To view the access guide please click here (new tab). 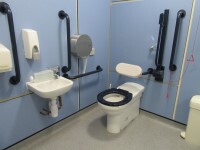 Handy Jacks - To view the access guide please click here (new tab). 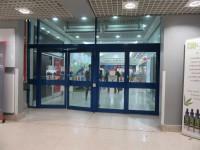 Holland & Barrett - To view the access guide please click here (new tab). Iceland - To view the access guide please click here (new tab). 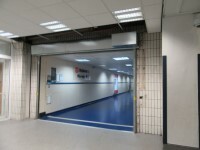 JD Sports - To view the access guide please click here (new tab). New Look - To view the access guide please click here (new tab). 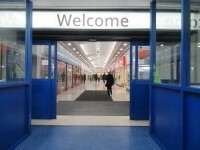 Poundland - To view the access guide please click here (new tab). The Range - To view the access guide please click here (new tab). Savers - To view the access guide please click here (new tab). Select - To view the access guide please click here (new tab). 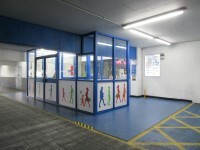 Shoezone - To view the access guide please click here (new tab). Terry's Boutique - To view the access guide please click here (new tab). Vickys Cards - To view the access guide please click here (new tab). Vodafone - To view the access guide please click here (new tab). 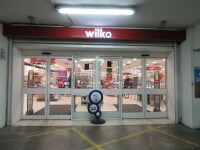 Wilko - To view the access guide please click here (new tab). Yours - To view the access guide please click here (new tab). 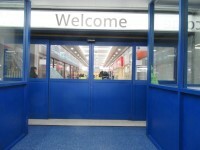 B&M Bargains - To view the access guide please click here (new tab). British Heart Foundation - To view the access guide please click here (new tab). EE - To view the access guide please click here (new tab). 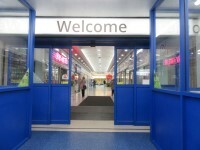 Card Factory - To view the access guide please click here (new tab). 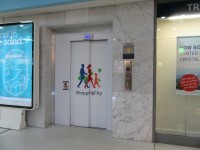 Shopmobility - To view the access guide please click here (new tab). The Fragrance Shop - To view the access guide please click here (new tab). Mode Fashion Boutique - To view the access guide please click here (new tab). 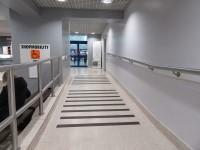 Max Spielmann - To view the access guide please click here (new tab). Peacocks - To view the access guide please click here (new tab). Sayers - To view the access guide please click here (new tab). Superdrug - To view the access guide please click here (new tab). Costa - To view the access guide please click here (new tab). Prepped 2 Go - To view the access guide please click here (new tab). FJ's Restaurant - To view the access guide please click here (new tab). 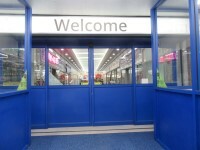 Betfred - To view the access guide please click here (new tab). Cashino - To view the access guide please click here (new tab). Ladbrokes - To view the access guide please click here (new tab). Halifax - To view the access guide please click here (new tab). 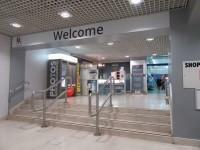 Mullens Opticians - To view the access guide please click here (new tab). 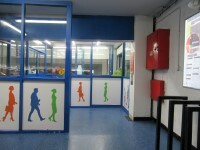 Santander - To view the access guide please click here (new tab). 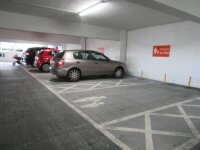 Specsavers - To view the access guide please click here (new tab). TUI - To view the DisabledGo access guide please click here (new tab). 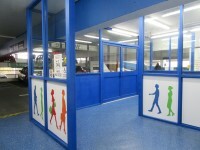 Halton Lea North Bus Station - To view the access guide please click here (new tab). 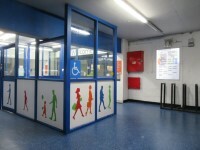 Halton Lea South Bus Station - To view the access guide please click here (new tab). 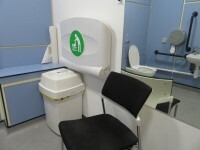 HDL - Halton Lea One Stop Shop - To view the access guide please click here (new tab). 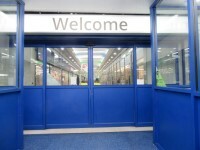 Halton Lea Library - To view the access guide please click here (new tab). Halton Credit Union - To view the access guide please click here (new tab).